Nice! 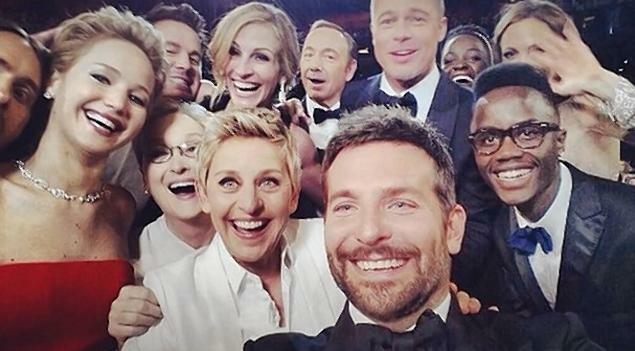 The 2014 Academy Awards, Reviewed. When Ellen DeGeneres introduced Academy President Cheryl Boone Isaacs as “the woman who could fire me”, she was being disingenuous, in the same way Cate Blanchett was when she thanked her makeup people for “somehow” managing to make her look good. Ellen was nailing it, and she knew it. The Awards themselves were the most predictable, or should that be the most correctly predicted, ever; there were no surprises except Best Animated Short, which did not go to Disney’s Get a Horse. Everything else went down by the book. 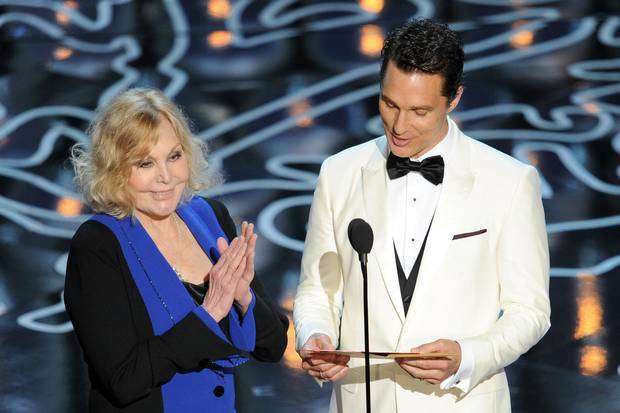 (Some might argue that Her’s Best Original Screenplay was a surprise; I saw it coming). But that was okay. Everyone deserved their Oscar, most of the speeches were warm, tasteful and charming, and no-one could really begrudge anything. These were nice Oscars. All the musical performances were very fine and were tastefully under-produced, which is to say they weren’t gaudily over-produced. Bette Midler’s appearance was cleverly placed immediately after the cavalcade of the dead rather than during it (which would have happened in the 90s for sure) and the Wizard of Oz appreciation, while weirdly getting Judy Garland’s kids to “stand up and take a bow!”, was fair enough. The running theme of pairing old and young presenters made for some highly unpredictable couplings, which was fun, and Matthew McConaughey, while being very freaky in his acceptance speech, was a truly debonair and thoughtful dude in dealing with plastic surgery nightmare Kim Novak, who had obviously proved to be a loose cannon in rehearsal, such that McConaughey was given carte blanche to step in and steal her lines should she wander off-text (as she did), or (as she did) announce the wrong category. Later, Angelina Jolie was similarly classy in helping Sidney Poitier appear as dignified as possible in the light of his age and also, perhaps, some infirmity. 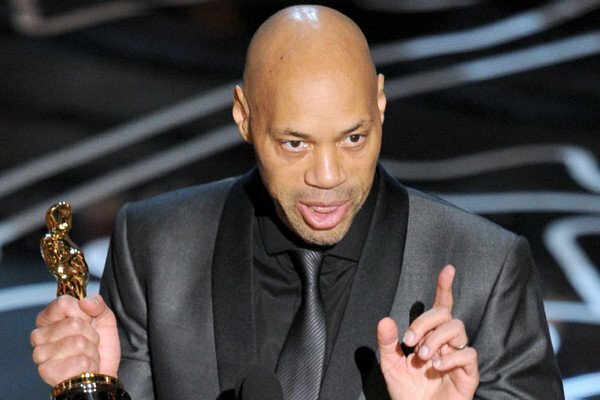 In terms of scandal, there was little, but John Ridley, the sour-faced writer of 12 Years A Slave, pointedly didn’t mention Steve McQueen in his acceptance speech, and pointedly (literally pointing down the barrel of the lens) did overly thank Jeremy Kleiner, one of that film’s many producers, stating (while pointing at the camera), “Jeremy, you made it happen.” Cut to McQueen, who did not look happy, and clapped very perfunctorily. Something is definitely up between those two, and it’s not nice. 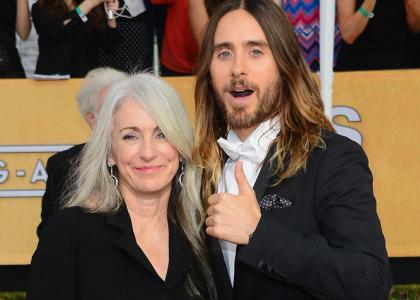 (There may also be something not very nice going on between Jared Leto and his mum, but let’s not go there). Everything else was nice, and gratifyingly so. It was an excellent, dare I say it again, tasteful Oscars. Boone Isaacs has said that she’s looking for continuity, and by that she means a regular host, as Billy Crystal, Johnny Carson and Bob Hope have been in the past. Ellen just secured that gig, and that’s going to be a good thing.